Join myself and Connor Stefanison for a unique nature photography experience in a beautiful area of wilderness only 2.5 hours from Vancouver, British Columbia. 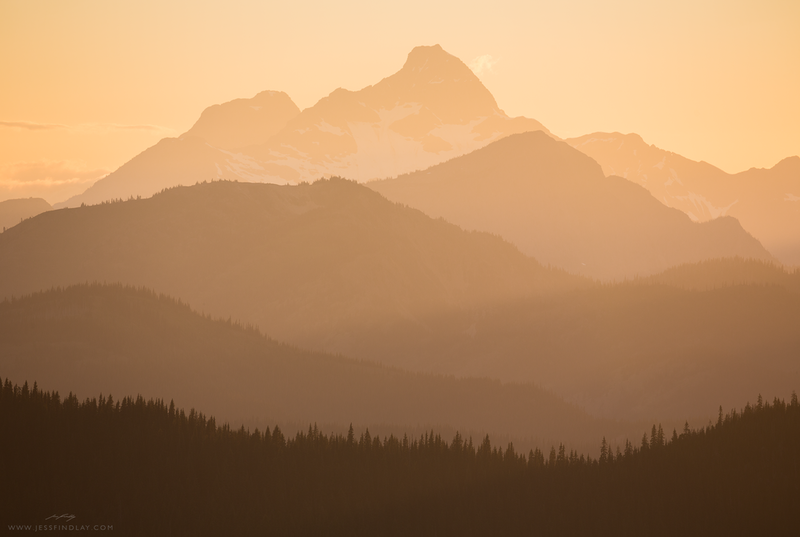 Manning Provincial Park protects over 70,844 hectares of wilderness in the heart of British Columbia's Cascade Mountains. Moving westward through the park, the climate transitions dramatically from old growth coastal rainforest, to semi-arid ponderosa pine forest and grassland. From low-lying valleys to high mountain peaks, this park boats an incredible diversity of flora and fauna. Highlight species include displaying male Sooty Grouse, Black Bears, large Mule Deer bucks, Yellow-bellied Marmots, Cascade Golden-mantled Ground Squirrels, America Pikas, Clark's Nutcracker, Gray Jay. Lynx and Moose are also often spotted in the park. Taking into account the breathtaking scenery, presence of charismatic wildlife, and relatively close proximity to Vancouver, the park remains quiet, retaining its authentically wild atmosphere. We'll be focusing our efforts on amazing displays of subalpine wildflowers, expansive mountain views, charismatic mammals, and also the area's diverse birdlife. Highlighting various techniques important to creating dynamic and memorable nature photographs, we'll spend three days exploring the park's numerous photo opportunities, learning along the way. In between our photography sessions, presentations and post processing instruction will be given. Collectively, we have more than 20 years of experience photographing nature. Both of our backgrounds in biology have lead to an in-depth understanding of the subjects in which we photograph. Growing up only two hours from Manning Provincial Park, we have travelled extensively here over the course of several years for the purpose of nature photography. Our local knowledge proves invaluable in locating the park's wildlife and being in the right place at the right time. photography tours and workshops throughout Alaska, British Columbia, Costa Rica, Peru and Ecuador. Two leaders means you will receive more one on one instruction. Providing you with the best possible workshop experience in a fun, non-competitive environment is of utmost importance. Unlike many other more niche-oriented workshops, we'll interact with a broad range of subjects, promoting further learning. Known for our unique, eye-catching images, we can help hone your photographic eye and produce imagery that stands out amongst the crowd. Having at least a basic understanding of the three basic manual functions on your camera (shutter speed, aperture, iso) will enhance your learning during this workshop. Suggested Photography Equipment . . . If you're interested in attending this workshop and want to learn more, click here to see a full information document. If you wish to register for this workshop, please provide your details in the form on the right. If you have any questions, please include them in the message portion of the form. To reserve your space, a non-refundable deposit is required. Once I've received your registration form, I will email you with details regarding how to send your deposit. I will also send a waiver which you will be required to read and sign. It can be mailed to me, or alternatively, a copy can be brought to the workshop.